Few days back LeTV re-branded itself into LeEco for global operations, “LeTv is where we started, but LeEco is our future”, said Ablikim Ablimit, VP of Strategy at Le Holdings. 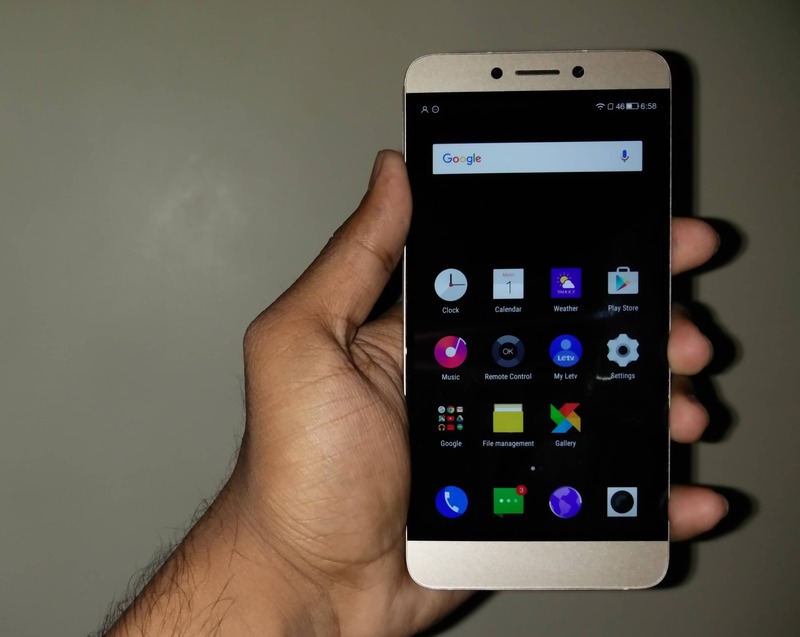 The Le 1S is the first smartphone which will be launched under the re-branded brand – LeEco. Ever wanted to use the open source android operating on an Apple iPhone? Your dreams are coming true with the LeTV Le 1S. The LeTV Le 1S looks like an Apple iPhone running on Android OS, not only Android OS, but lot of other changes in the user interface which makes it feel that you are just using an iPhone. Holding the LeTV 1S would make other people think that you are holding a larger version of the Apple iPhone 6S, however you will miss the feeling, you get while holding an iPhone. What else do you expect for the price Rs. 10,999? [First Time Impression] LeTV Le 1S Design Overview & How it feels when holding it for the first time? As mentioned above, the LeTV Le 1S looks like a large sized Apple iPhone 6S. Although the design looks similar to that of an iPhone, it isn’t as slippery as an iPhone. The LeTV Le 1S fits in our hands without any extra efforts. I’ve been using the Galaxy S6 and the OnePlus Two for a while, The S6 feels slippery at times, while the OnePlus Two feels tough to hold, but the Le 1S just fits perfectly in my hand. A majority of the smartphone users prefer phones with less bezels, because that makes the screen look beautiful. The Bezel-less display has made me fall in love with the Le 1S at first sight. Below the bezel-less display sits three buttons, but they are only visible when you touch them, they won’t be visible even when the screen is on. The bottom side of the Le 1S sits the speakers, just like the ones placed in the iPhone, Galaxy S6 and the OnePlus Two & the USB Type-C port which will be used to charge the device or transfer files. Although, the LeTV Le 1S is designed like an iPhone, but doesn’t have the fingerprint sensor placed on any buttons at the front. LeTV has placed the fingerprint sensor at the backside. The mirrored fingerprint sensor will keep your lady/girl happy because, 2/3 of my female friends have at least once in 10 minutes of their usage looked at the mirror to look themselves and I found them pretty impressed about mirrored fingerprint sensor, besides attracting the females, it also unlocks the Le 1S pretty fast & accurate. The rear camera is located at the top, which sometimes can make it difficult to capture images when you are habituated to capture images or videos using both your hands, one to control and one to hold, because one of the hands with which you will be holding will block some images and you might notice some images with your hands in it. Here is a small video in which I’m playing with the device with my left-hand easily, This shows how easily a right-handed person can use the phone using his Left-hand. You are requested to avoid such things, because there are chances it might slip and you might end up causing damage to the device.